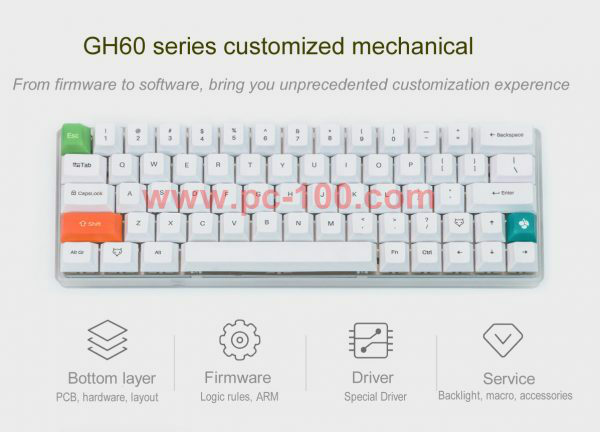 This GH60 mechanical keyboard has 64 keys, RGB back light LEDs and many back light effects, pluggable switches make it easy changing switches, a programmers’ choice. 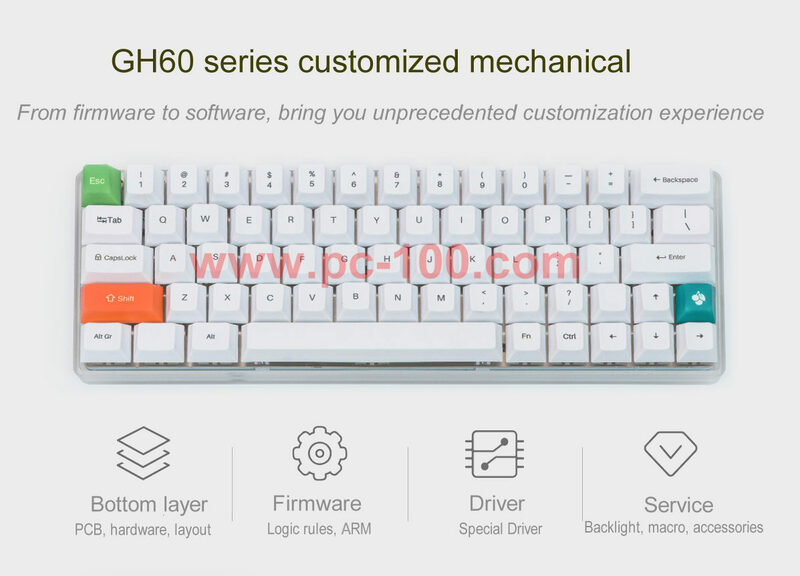 GH60 custom mechanical keyboard, from firmware to software, bring players unprecedented customization experience. 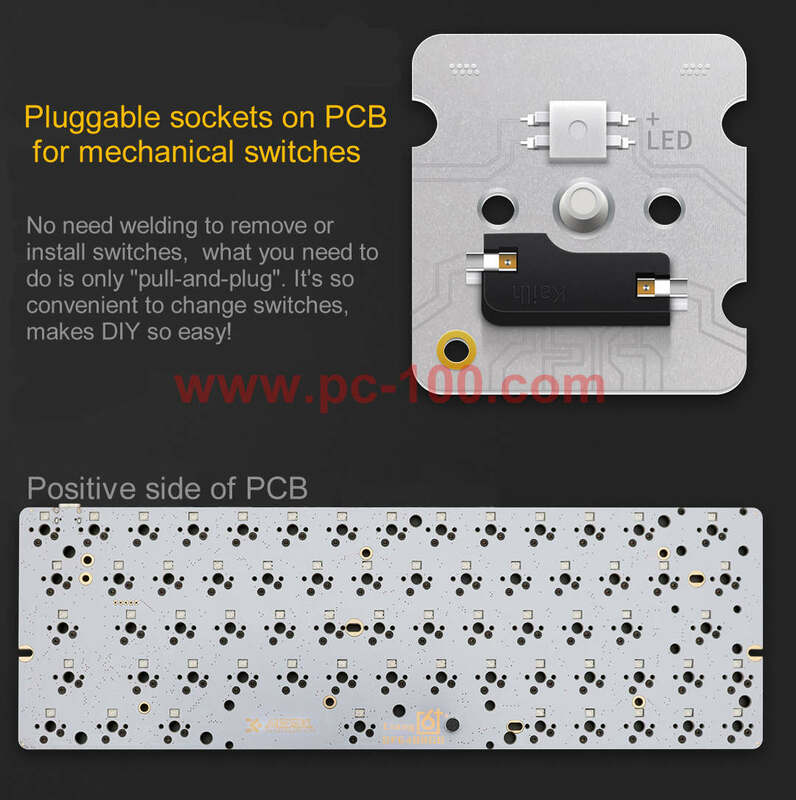 Pluggable sockets on GH60 mechanical keyboard PCB for mechanical switches. No need welding to remove or install switches, what you need to do is only “pull-and-plug”. 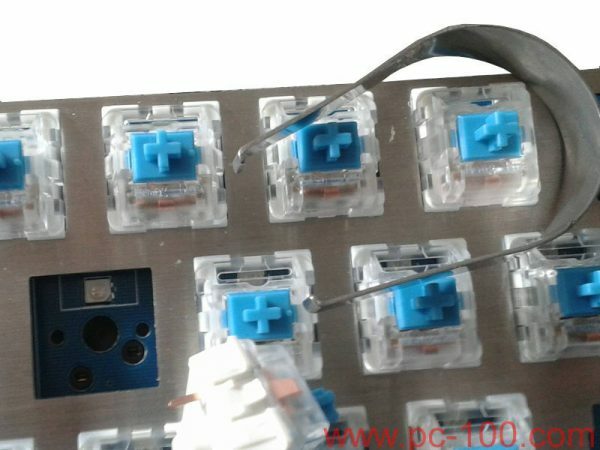 It’s so convenient to change switches, makes DIY so easy! 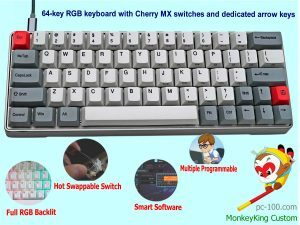 You may design your DIY backlit effects and let it show on this GH60 programmable mechanical keyboard. 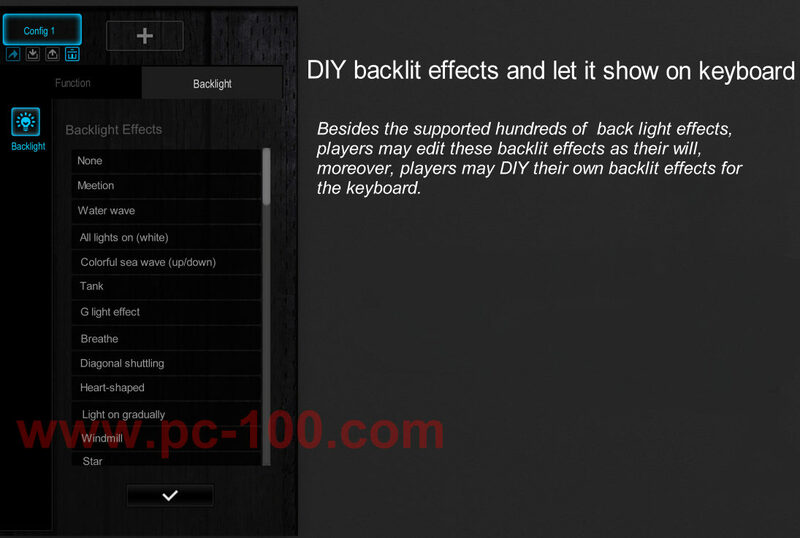 Besides the supported hundreds of back light effects, players may edit these backlit effects as their will, moreover, players may DIY their own backlit effects for the keyboard. 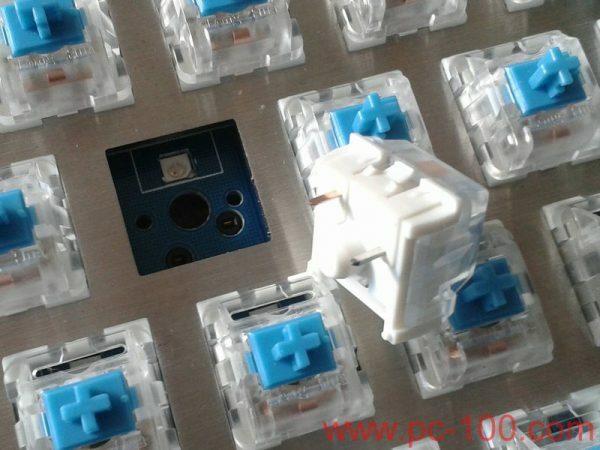 iii) Maximum polling rate (Report Rate) is 1000Hz.Use the fastest rate available under the USB interface, and updates the keyboard’s status to the computer every 1 millisecond. This minimize the delay from when the keys are pressed and signal received by your computer. iv) Each LED light can be set to any color separately by driver software. 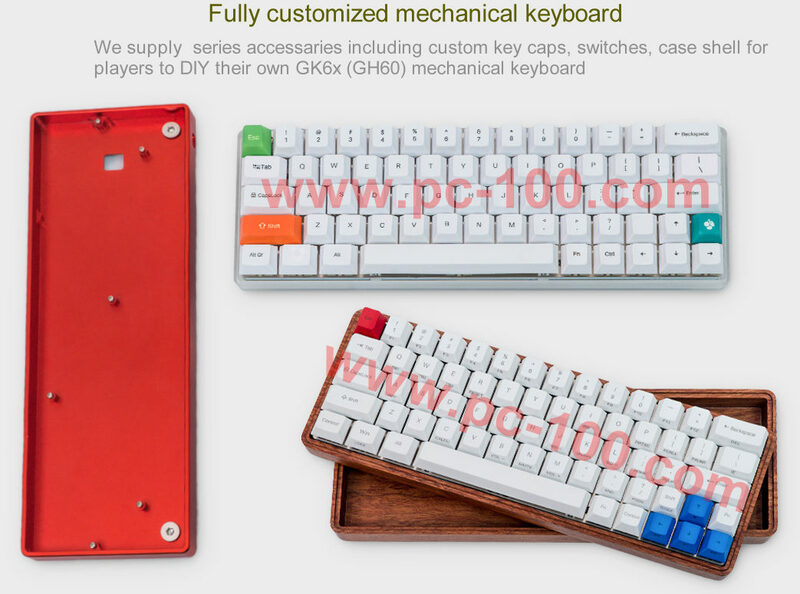 x) Configuration file can be saved in mechanical keyboard’s internal memory . 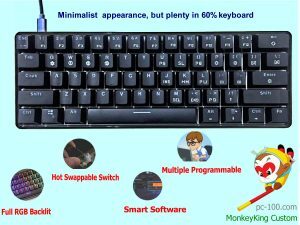 xi) Power-saving mode, mechanical keyboard’s back light goes out when the computer is shutdown or is in standby status. 1)/2)/3) total 3 user defined mode, user may define every key in these 3 modes and press Fn + ①/②/③ to shift to each modes. For example, mode ① is for VC++, mode ② is for Photoshop, mode ③ is for Office. 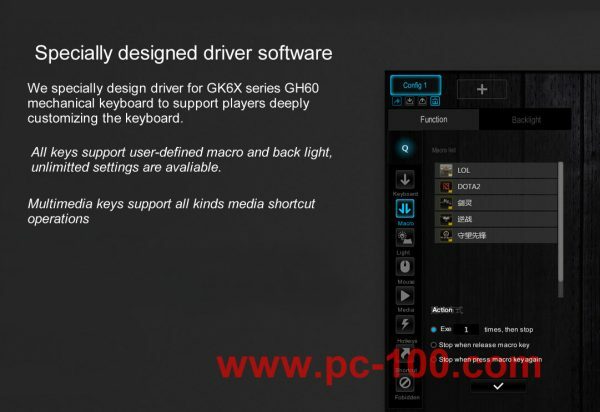 4) An online mode, this mode is effective only with the driver software was running in the PC, in this mode, user may define very long and very complex macros to a key. Adjustable repeat rate and repeat delay. You can fine tune the repeat rate and repeat delay for gaming or your specific applications. 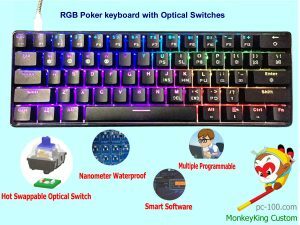 Fn + R-G-B may adjust to any expected color, R,G,B would light on in mode of color-adjusting.RGB color-adjusting mode would be invalid in any other modes except in single color mode, recording mode or all-light-on mode. 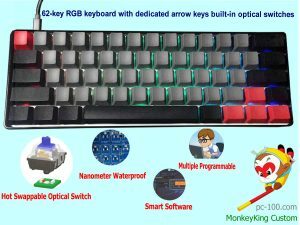 Why RGB Full Color Backlight?